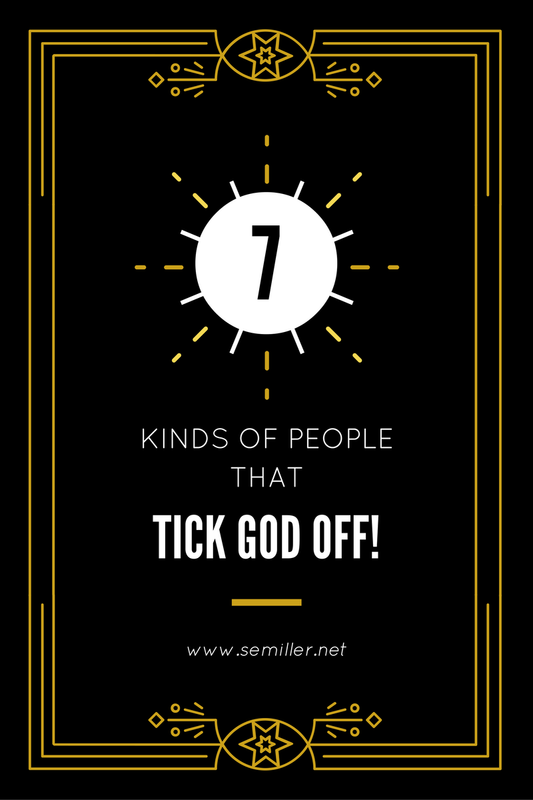 There are seven kinds of people or behaviors that tick God off. We may be guilty of them as well. We notice the first is pride, scripture says God resists the proud, that is, He will fight against them and bring them down in his own time. All we have to do is watch as they begin to fall around us. Let's take a look at the seven behaviors that will summon God's righteous indignation. The first three are people who are proud, people who are liars and murders (Proverbs 6:17). A proud look: "Eyes that are scornful and look down upon others; or looking upon them with disdain; or reckoning them as unworthy to be looked upon, having an high opinion of their own worth and merit." A lying tongue: "A tongue speaking falsehood, knowingly and willingly, with an intention to deceive others; to hurt the character of a neighbor, or to flatter a friend. Is there anything in which a man more resembles the devil, who is the father of lies?" Hands that shed innocent blood: "Killing innocent persons, they are like the devil, who was a murderer from the beginning." 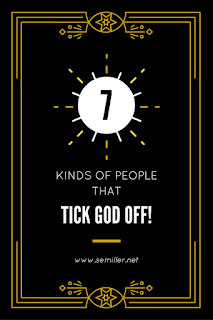 The next two are those who make evil plans or are quick to do wrong (Proverbs 6:18). A heart that devises wicked imaginations: "Thoughts of wickedness" which are framed and formed in the heart: and this being the source and fountain of all wickedness, evil thoughts and plans, both against God and men, which are forged and fabricated in the wicked hearts of men and women." Feet that are swift in running to mischief; People who commit all manner of sin with greediness, includes murder. A false witness that speaks lies: "He that raises lies, and spreads them abroad, and swears to them, to the damage of others. This makes the sixth; and the seventh follows, and him that sows discord among brethren; "Whether in a natural relation, or in a civil society, or in a religious community." Scripture Commentary adopted from John Gill's Exposition of the Bible.